Elections officials also said the election was marred by falsified signatures, blank ballots that consultants could complete and disappearing documents. 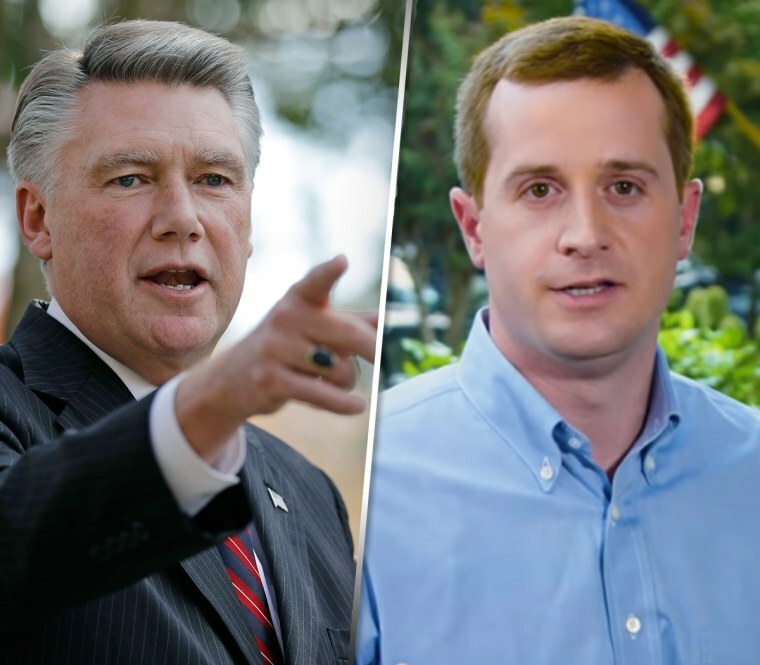 RALEIGH, N.C. — North Carolina elections officials looking into allegations of ballot fraud in the country’s last undecided congressional election are finding that votes were counted days before Election Day in the rural county at the center of the disputed results. The officials also said the election was marred by falsified signatures, blank ballots that consultants could complete and disappearing documents. The state elections board on Tuesday heard from Bladen County poll workers who admitted tallying results on the Saturday before Election Day when early, in-person voting ended. That’s contrary to proper practice. The poll workers, Agnes Willis and Coy Mitchell Edwards, said that while they and others could see who had the early lead in Bladen County sheriff’s race, they didn’t tell anyone. That testimony contradicted the account of another poll worker, Michele Maultsby, who said earlier Tuesday that she never saw anyone view the tape listing the voting results that Saturday. Agnes Willis must have made an honest mistake when she said people saw the early voting totals, Maultsby said. When Edwards was asked by board executive director Kim Strach if he knew that tallying results early was not allowed, he answered, "I haven't been told that until you just" said it. Strach said investigators didn’t find evidence that anyone else was tipped off early about the vote totals. But the practice of early counting raises questions about the vulnerability of the county’s voting results. The elections board is deciding whether Republican Mark Harris won November’s congressional election or a re-run is necessary. Harris narrowly leads Democrat Dan McCready, but the contest wasn’t certified because of suspicions the result was tainted. The state board has been investigating allegations of irregularities since shortly after the November election, when Harris finished with an unofficial lead of 905 votes. The board could decide as early as Tuesday whether ballot fraud was unfortunate but tolerable, or whether to order a new election in the 9th District, which runs from Charlotte through several counties to the east. Investigators are expected to seek testimony from dozens of other voters in rural Bladen and Robeson counties and people who worked with political operative Leslie McCrae Dowless. The consultant hired by the Harris campaign was accused by the state elections director of running an illegal and well-funded ballot-harvesting operation. On Monday, a key witness testified that she engaged in fraudulent and illegal activity involving absentee ballots as part of a get-out-the vote operation to benefit Harris. In frank testimony before the elections board, Lisa Britt said that she was paid to collect absentee ballots in the 2018 election by Dowless. Britt said some of the ballots she collected were unsealed and uncompleted and testified she filled out the options left blank for Republican candidates — an admission of vote tampering that violates North Carolina law.